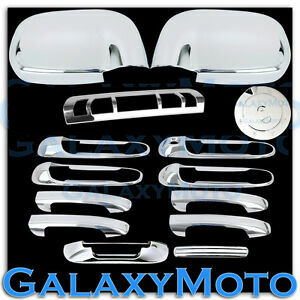 galaxymotoinc has no other items for sale. Sales tax may apply when shipping to: CA (8.5%), IA*, MN*, WA*. I really like the chrome look my truck now has. Looks like a different truck. The 3M tape had to be enhanced on the door handles with a little touch of clear gorilla glue, but I still give it a five star rating. I would recommend this product with no hesitation! !